Leni Riefenstahl started her career as a dancer. After a foot injury made an end to her dance ambitions in the 1920s, Riefenstahl turned to acting and eventually directing. In the early 1930s she was introduced to Adolf Hitler, with who she collaborated to make two Nazi propaganda films. The first, ‘Triumph des Willens’ (1935), a chronicle of the annual Nürenberg Rally of the Nazi party, would become a great success in Germany and led to Riefenstahl’s international recognition as one of the first female directors ever to receive such honour worldwide. 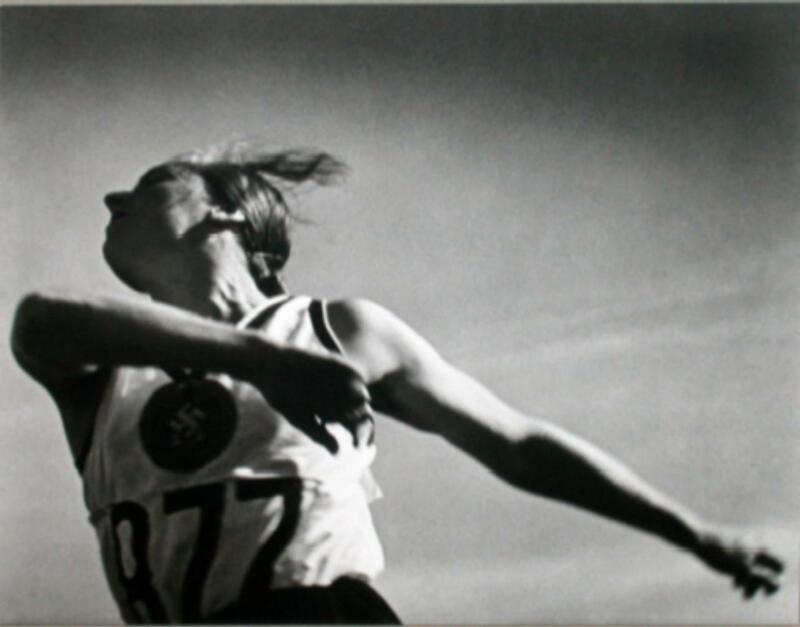 The second film ‘Olympia’ (1938), documenting the Olympic Games of 1936 in Berlin, was celebrated for its aesthetic and technical achievements. Riefenstahl used innovative cinematographic techniques such as tracking shots and slow-motions, and filmed from unconventional viewpoint mounting her camera on rafts or in trenches, or by filming from a balloon. The movement of her camera, her editing, her eye for aesthetic and the use of sound and music all added drama and tension to the scenes, that were not associated with documentaries of the time. ‘Olympia’ is considered to have had a major influence on modern sports photography. After World War II, Riefenstahl was accused of actively collaborating with the Nazis. She strongly denied to have intentionally created films to be used as Nazi propaganda, but that they mainly served an aesthetic purpose. Nevertheless, her link with Nazism and Adolf Hitler would cast a long shadow of controversy over the rest of her career. In the second half of her career, Riefensthal intensely documented the indigenous Nuba tribe in Sudan.